Good, workmanlike article about the Mynarski ward and crime from Rob Brown at the weeklies. Candidate Ross Eadie said less bureaucracy, not necessarily more cops, is needed to address the crime issue. “The North End is not a crime disaster, and neighbourhood police should be deciding where they are needed the most,” he said, adding that the Winnipeg Police Service should release more statistics on violent crimes to members of the public. Don’t know about you, but there’s few other areas of the city where a 21-year-old mom can get shot and killed on her way to her car outside a reputed gang hangout and it barely raises a peep out of the “leadership” — or anyone else for that matter— in Winnipeg. Phil Haiart, the son of a city doctor, was shot and killed crossing the street in the West End on Oct. 10, 2005. Will Phillipe’s killing be last straw? Coun. Russ Wyatt attempts to hold a public meeting of council to have a frank public discussion about drugs, crime and gangs in Winnipeg. He’s accused of grandstanding on the back of a tragedy and the meeting request is shot down. WINNIPEGGERS came together on several fronts yesterday to demand changes to conditions that led to last week’s death of an innocent 17-year-old bystander caught in a gang gunfight. They seemed to have heard the “call to arms” that Philippe Haiart’s friends and family said his death represented. 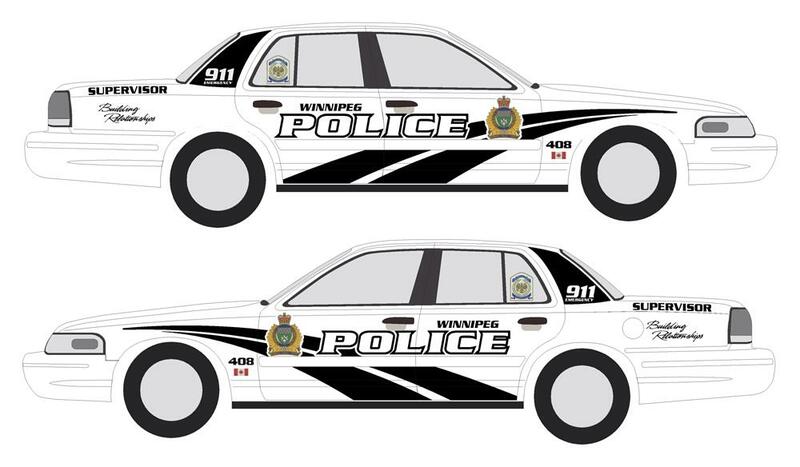 At 3 p.m., Winnipeg Police Insp. Boyd Campbell received news that eight of 23 police graduates will be assigned to his inner city precinct, where Haiart’s shooting occurred, starting in two weeks. MAYOR Sam Katz and Police Chief Jack Ewatski teamed up yesterday to “take back our streets” with a blitz involving 45 police officers. They announced Operation Clean Sweep and warned “in-your-face-policing” will target gangs, prostitution and drugs. “We don’t need an ivory-tower policy discussion,” Katz said at an outdoor news conference at Langside Street and Sargent Avenue, near the site where St. John’s-Ravenscourt School graduate Philippe Haiart, 17, was killed by gang fire on Oct. 10. And “operation clean sweep” was born, and would live on as a hallmark moment for policing and public safety in Winnipeg. But three days after Tiffany Johnson was gunned down, there’s no evidence of a start to such a buildup or angry condemnation of what happened to her, except maybe from the police service. And I mean from everyone: The community, the media, the politicians and the police service. I suppose I just wonder why. Is it that North End crime has become so ingrained in our minds that we — all of us — just look the other way? Usually one can’t take one’s eyes off a disaster. Maybe that means Eadie’s right. If you want to vote for a Progressive candidate… please, God, consider someone other than Ross Eadie, Ross Eadie’s mouth, Ross Eadie’s deluded analysis, and Ross Eadie’s ego. There are alternatives. – A fiscally conservative friend. Hey – believe me, I have seen The Wire. And I have been wondering the same thing as you mention.